Snyder Manufacturing is the industry leader in providing high performance materials for the tent and structural fabric market. We produce a number of products with high quality workmanship surpassing industry standards. 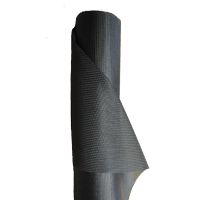 We also deliver custom-engineered fabrics for unique applications. All of our products are produced at our facility in Dover, Ohio (just 75 miles south of Cleveland). WeatherSpan™ products are unsurpassed among laminated vinyl fabrics in abrasion resistance, mildew resistance, and weather and UV resistance while sustaining high tensile and tear strength. These products are available in 13 oz./yd², 16 oz./yd², and 18 oz./yd² constructions with potential light transmission classes of translucent, semi-block, or full light blocking. WeatherSpan™ products are typically used for commercial tents, rental tents, and corporate tents, in addition to tension structures. PermaBar™ is the vinyl laminate fabric so unique, that the stripe is actually an additional ply of outdoor-grade vinyl film heat-laminated to the base fabric. This creates a highly durable outdoor fabric that resists tears, rips and abrasion while maintaining excellent light stability. 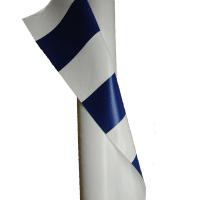 This product is available in 12 oz./yd² with a 4” stripe or 13 oz./yd² with a 30” wide stripe. Custom stripe configurations are also available. Applications include rental tents, concession tents, and corporate tents. KlearSpan™ is a durable, high-strength, reinforced clear fabric. Like all of Snyder Manufacturing’s products, it has excellent mildew resistance with weather and UV resistance. This product is available in 14 oz./yd². Applications include greenhouse structures. Carnival of Colors is Snyder Manufacturing’s newest tent product. 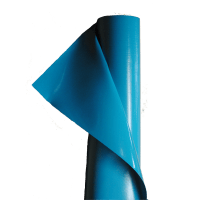 This 17 oz./yd² material, available in twelve vivid colors and high-gloss finish, is a highly durable product with excellent weather and UV stability. Snyder PVC coated mesh products can be utilized for shading and windscreens for tent structures. The FRCS products are formulated to comply with NFPA and California State Fire Marshall FR requirements. These products also combine high tensile and tear strength with abrasion resistance, mildew resistance, and weather and UV resistance. This product is available in 8 oz./yd² and 10 oz./yd². Applications include shading and sidewalls. Sound Barrier Fabrics (STC13 and STC17) are sound blocking materials that reduce outside noise and light. 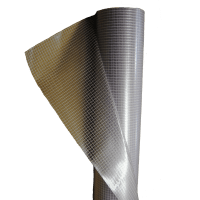 These technical fabrics are a flexible, high-density, reinforced vinyl that resists the passage of sound waves and reduces the transmission of airborne noise. STC 13 and STC 17 are ideal for direct application to the noise source and/or to the housing covering the noise source. Snyder Sound Barrier products are thin, lightweight, flexible, flame retardant fabrics that are formulated with anti-mildew, anti-fungal, and antimicrobial agents. In addition, Snyder Sound Barrier fabrics completely eliminate light from transmitting through.